When the outside temperature is 25Celcius, the pavement is already 51,6Celcius, and with 30,5Celcius it will be 61,7Celcius. Well I don't want to walk on that with my bare feet, so my dogs won't either. And the forecast is even hotter. This weekend there will be maybe 39degrees so I don't wanna know how hot pavement is then. 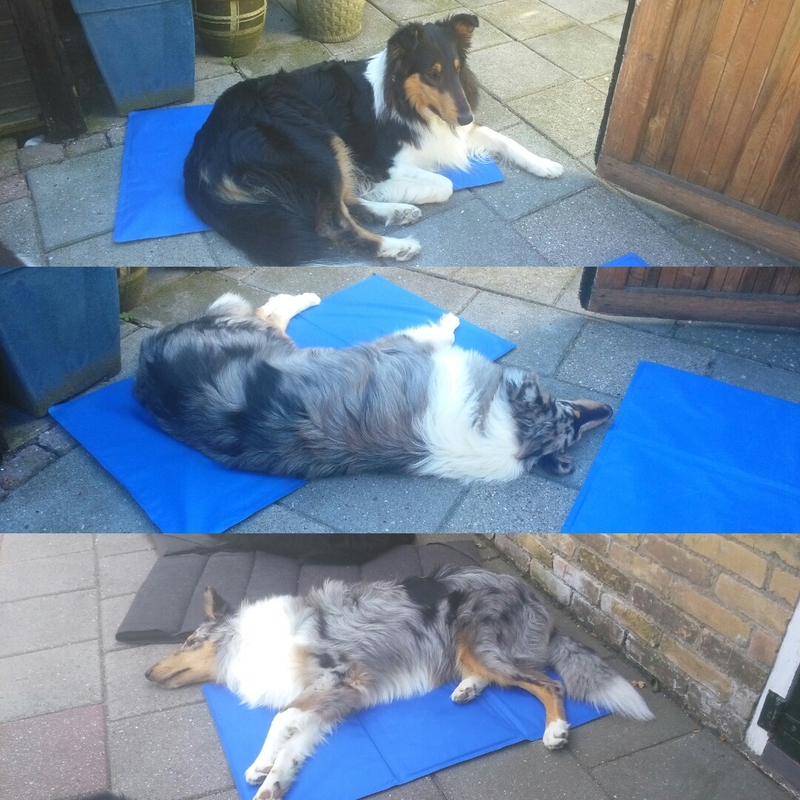 To keep cool I bought this monday supercool cootmats, they don't have to be put in the fridge or in cold water, they just cool, when something warm is placed on it. Monday it was not that warm, but yesterday, when one dog stood up, the other one is laying on it. They where not very expensive and they keep cool and happy. I think today we will even set up a smal pool, and just see what happens then, I know collies, and in all those years I had not 1 who liked water, so we just see. We just gonna keep quiet, keep them cool, with plenty of cool water and don't go anywhere.